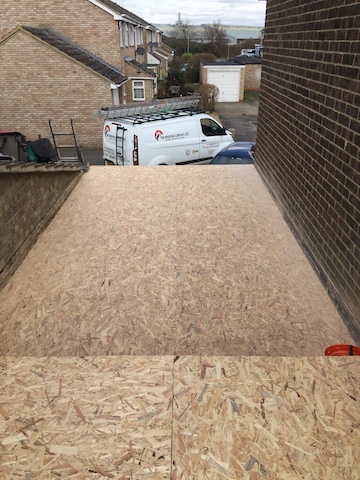 Flat roofs are common on garages and extensions. 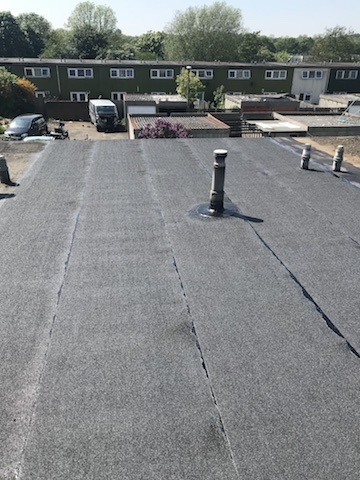 The problem is that, over time, the joins in traditional felt roofing are undermined by constant changes in temperatures throughout the year. 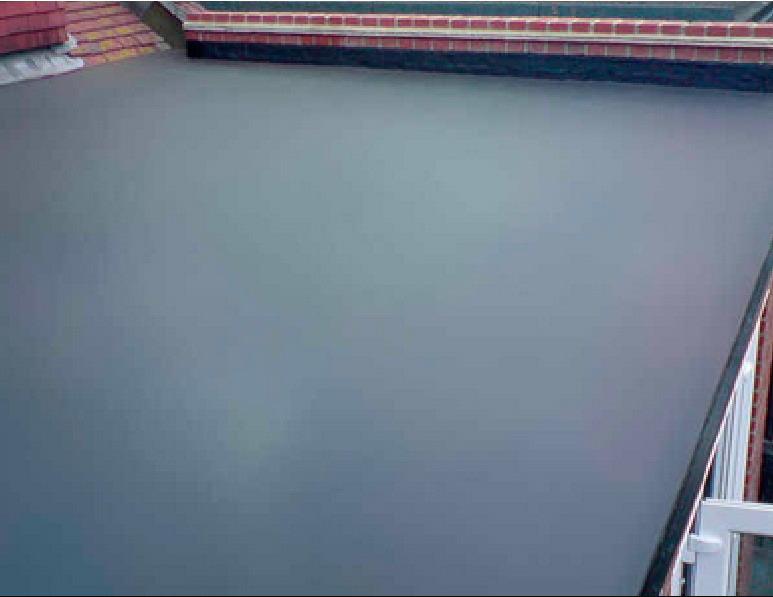 The felt roof literally expands and contracts, allowing water to eventually seep in. 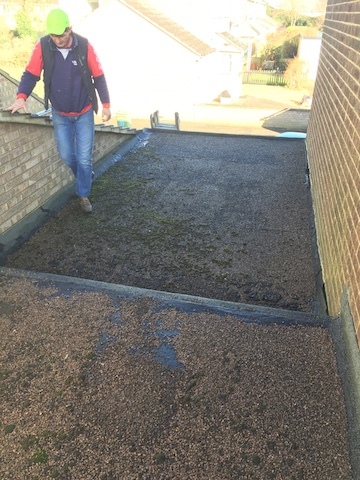 And because there is no pitch, flat roofs are prone to puddles. 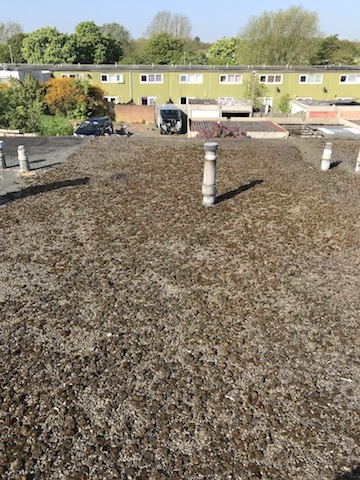 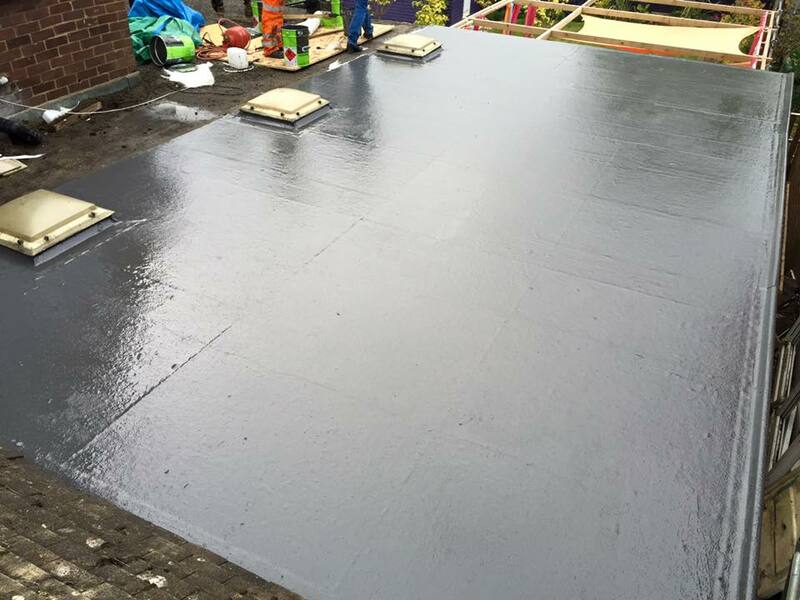 The Roofing Company of Milton Keynes offer a full range of flat roof repairs using either traditional felt materials used because they are a cost-effective solution which, when properly installed, will last between 10 to 15 years, or EPDM rubber roofing which is not only waterproof, but expands. 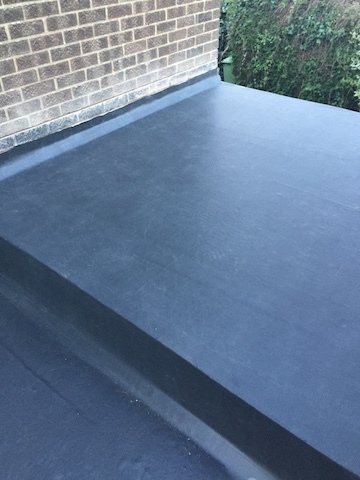 With no joins, rubber roofing can last more than twice as long as conventional felt roof options. 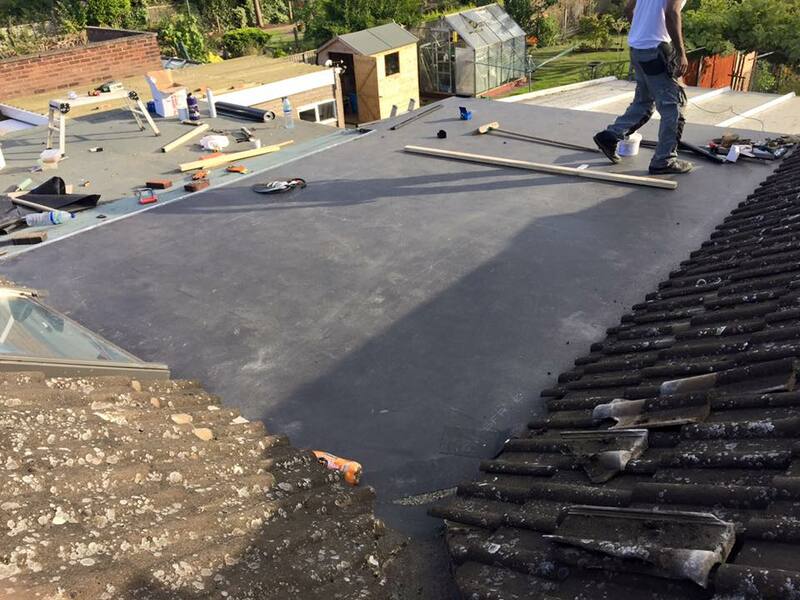 All our work is carried out to the highest standards by our small team of courteous and professional roofers. 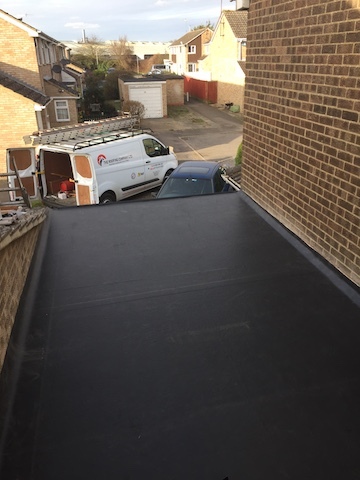 We work throughout Buckinghamshire, Bedfordshire and Northamptonshire. 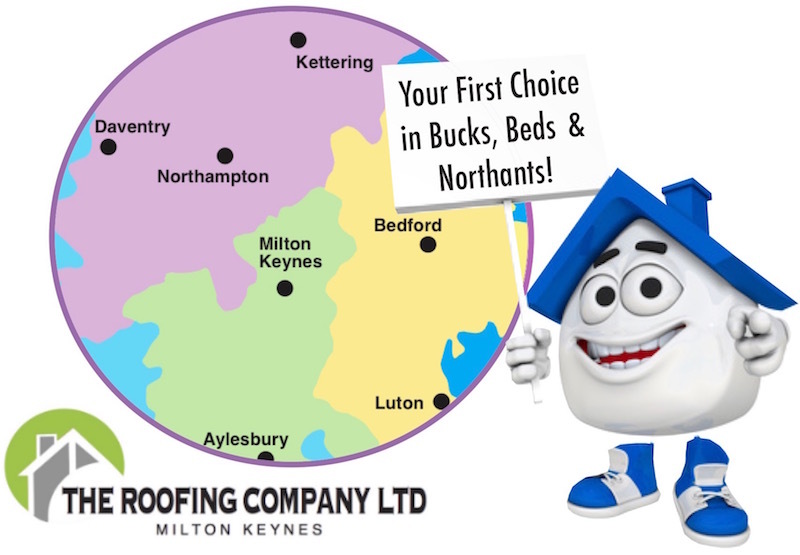 Call Milton Keynes 01908 886241 or mobile 0777 891 5850 today for a free no-obligation quotation or flat roof inspection. 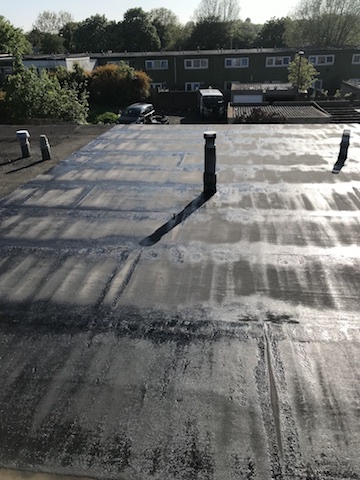 The Roofing Company Milton Keynes in before, during and after images of a flat roof replacement job using EPDM rubber roofing.